Frightening and tantalising. Cutting yourself off from everyone and the sense of belonging. Strict and liberating. Cults – religious or otherwise – have proven, time and again, to be a heap of contradictions. One thing that is for certain is that, from the outside at least, they are utterly fascinating. Can you picture yourself getting swept up in a beliefs system that completely takes over your life; who you are and how you think? 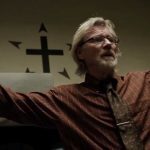 Cults, therefore, provide excellent cinematic material, with all their idiosyncrasies. Most find themselves in the horror genre, owing to the hyperbolic beliefs or behaviours of those involved. Some of the films on our list have become “cult classics” in themselves, providing a weird kind of meta, for those of you who are into that sort of thing. 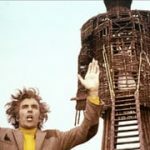 Take a look at our six of the best films about cults and let us know in the comments below if we have missed any. 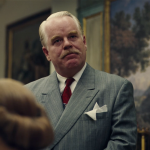 Phillip Seymour Hoffman stars as the charismatic, ambiguous leader of a cult in Paul Thomas Anderson’s film, which could be seen as a crude metaphor for Scientology and L. Ron Hubbard. Joaquin Phoenix plays opposite as down on his luck Freddie Quell, who finds himself aboard Hoffman’s ship, being educated into the ways of his beliefs system, known simply as The Cause. It’s a deeply tense and wordy film that completely avoids all of the shock tactics and tropes that may well be expected of such a film. Amy Adams rounds off the main cast in an utterly performance-driven piece of cinema. It’s enough to put you off pregnancy and childbirth – and everyone loves a film about the occult. 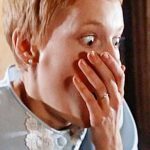 Mia Farrow is absolutely brilliant as the young mother being groomed by her creepy neighbours to bear the son of Satan. It’s the insidious friendship offered by her neighbours more than anything else that is so unsettling, as they try to worm their way into her life. There are plenty of jump-scares as Farrow’s paranoia becomes ever-more prevalent. This is classic psychological horror at its very best, with the film marking Roman Polanski’s Hollywood debut. Kevin Smith stars this film at 11, and turns it up from there. If Devil worshippers are scary, Bible thumpers are even more terrifying. Three teenagers find themselves on a promise – quite literally – but are instead lured to the fundamentalist Five Points Trinity church, wherein they are tortured by a bunch of gun toting God fearers. It’s very tense and violent – you can practically feel the Southern humidity – as the teenagers attempt to escape the compound. It’s like Louis Theroux’s Most Hated Family In America on steroids. We refer to the original, of course, and not the Nic Cage remake. Mysterious, barely inhabited Scottish islands make a good location for a batshit crazy, devil worshipping cult. Edward Woodward is the staunchly Catholic policeman sent to investigate a missing schoolgirl. He ends up stumbling upon whatever the hell it is (no pun intended) the inimitable Christopher Lee is up to. Lee is at his sinister best and that final scene will absolutely haunt you for days. It’s a proper classic that ticks all the boxes about the violence and eroticism often associated with the occult. The film debut from writer-director Sean Durkin made a huge splash on its release, with particular attention paid to the brilliant central performance from Elizabeth Olsen. Olsen stars as a young woman who, having escaped from a creepy cult in rural Middle America, returns to her sister’s home and attempt to reintegrate herself into normal society. It’s an interesting insight as to the concept of “normal life” when you have been immersed in a cult that has dictated every aspect about who you are. There is a remake of Dario Argento’s classic Giallo movie due out early next year, but nothing will top the hyperbolic colour and haunting score of the original. 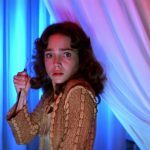 Dance student, Suzy Bannion (Jessica Harper) joins an isolated Eastern European dance school, only to discover a coven of witches behind the swirling, Baroque corridors. The whole film feels like being trapped in a lurid hall of mirrors, with particularly violent deaths thrown in for good measure. The Giallo style won’t be for everyone but the scares are most definitely there.